At first sight, imprints like these are a dream source for every scholar doing research on early modern women’s work. They contain date and place of publication, and the printer and/or bookseller. In short, they provide information on the production of early modern books which makes it relatively easy to link products to producers. As the example shows, they even regularly mention widows. Catherine was the widow of Christoffel of Ruremund (also known as Christoffel of Endhoven), and published William Tyndale’s translation of the New Testament in Antwerp in 1534 and 1535. Imprints can be a lot of fun too: not every printer wanted to be identifiable, especially not when printing illicit texts or images. They often pretended to be someone else, for example a colleague from another city, or they made something up. Books printed by “Common sense”, “Lucifer”, and “The printing house of the four chatterboxes who came down from the moon” are just a few examples that demonstrate inventive cheekiness and commentary on the printer’s part. Although interesting, these fictional imprints point towards a problem of interpretation that extends to the ‘factual’ ones: they do not simply tell us who printed the text. Even if the imprint plainly identifies the printer, the division of work in his or her workshop remains obscured. Hence, it remains uncertain to what extent women were actually involved in the production of early modern printed texts and images. As Susan Broomhall has pointed out, imprints are indeed unreliable sources for the actual involvement of women in the book trades. According to her, imprints can both obscure work by wives and daughters behind the name of a man, as well as give the false impression that a woman headed a business. Broomhall has suggested that women often appeared in imprints while the day-to-day management of the firm was left in the hands of a man – a competent journeyman, for example. In contrast to Broomhall, Natalie Zemon Davis proposes a far more positive interpretation of imprints. In general, women were primarily rooted in their immediate environment – the neighborhood – and they were noted for their work skill there. An exception to this rule was the printing trade, where women’s names were distributed far outside their communities. 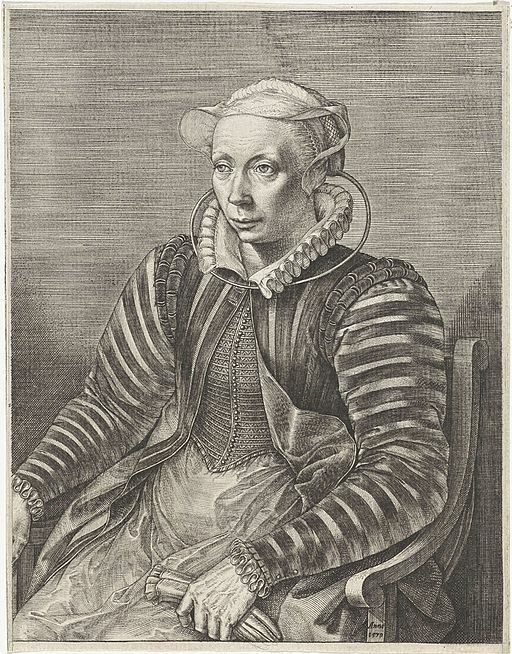 Anna van Ertborn, widow of Joannes Steelsius, is an excellent example. From a contract we know she was indeed involved in the printing house. Books mentioning her in their imprints were printed in her workshop in Antwerp, shipped to Spain, and from there even travelled to the Spanish colonies overseas. Zemon Davis seems to look at imprints not only as (faulty) transmitters of bare facts, but also as statements of ownership. Helen Smith takes this interpretation a step further and looks for “the narrative possibilities these brief statements describe or evoke”. What emerges from this brief overview is that imprints are difficult sources to interpret when studying the contribution of women to the book trade. While these difficulties do not apply exclusively to women, they are rarely raised in discussions of male printers. The most famous Antwerp printer, Christophe Plantin, kept appearing in imprints although he was elderly and ill. During this time, it was his son-in-law Jan Moretus who actually took care of the day-to-day management of the famous firm. After Plantin’s death, the old master’s name appeared for another year in the imprints. This strongly resembles Broomhall’s argument: during this period, the imprints of Plantin’s firm give the impression that one man was in charge, while it was another who actually provided the day-to-day management of the firm without being acknowledged in the imprints. True, Moretus was not the owner yet – he would eventually inherit the firm with his wife Martina, Plantin’s second daughter – and so, his contribution remains just as hidden as those of Plantin’s daughters themselves. It is only through the unique and rich archives of the Officina Plantiniana that we know more about the organization of work in the firm. And yet, one rarely encounters a problematisation of Plantin’s role in the firm, or even of less famous men whose involvement in their printing house we cannot corroborate through other sources. We do it routinely, however, for imprints mentioning women. Scholars working on women’s history might be more used to questioning evidence in this particular way because of their sensibility to the invisibility of women’s work. From this mindset, a preoccupation with determining who actually did what seems to have naturally followed. Maybe we should question men’s imprints as meticulously and readily too? Broomhall, S. (2002). Women and the Book Trade in Sixteenth-Century France. Aldershot: Ashgate. Smith, H. (2012). Grossly Material Things: Women and Book Production in Early Modern England. Oxford: Oxford University Press. Zemon Davis, N. (1982). ‘Women in the Crafts in Sixteenth-Century Lyon’, in Feminist Studies, 8(1), 46–80. Taken from: S.n., Dialogue entre Fanchette, Bruxelloise. Josephine, Namuroise. Therese, Gantoise. Catherine, Montoise. Tranche-Montagne, soldat patriote. Merveilleux, colpolteur brabançon (Printed by Imprimerie des quatre comères, descendues de la lune [fictional imprint], s.l., 1790), STCV 12919281; s.n., Dialogue entre la folie et la raison (Printed by Sens commun, Evidence [fictional imprint], [1789-]), STCV 12919200; s.n., La bohémienne, ou prophetesse du diable en Brabant (Printed by Lucifer, s.l. [fictional imprint], 1787), STCV 12922969. S. Broomhall (2002). Women and the Book Trade in Sixteenth-Century France. Aldershot: Ashgate, pp. 54-57.
history of transatlantic book circuits and book consumption in the early modern age, Unpublished PhD thesis, University of Leuven, p. 132. H. Smith (2011). ‘‘Imprinted by Simeon such a signe’: reading early modern imprints’, in H. Smith & L. Wilson (eds. ), Renaissance Paratexts. Cambridge: Cambridge University Press, p. 20. D. Imhof (2014). Jan Moretus and the continuation of the Plantin press: a bibliography of the works published and printed by Jan Moretus I in Antwerp (1589 – 1610). Leiden: Brill, I, pp. 2-3.